Our new campaign champions the resilience and potential of young people, in the wake of new research which shows young people’s confidence is suffering – with one in five 11 to 19-year-olds believing they will amount to nothing, one in four thinking people do not believe in them, and almost half thinking they will struggle to find employment after they have finished studying. 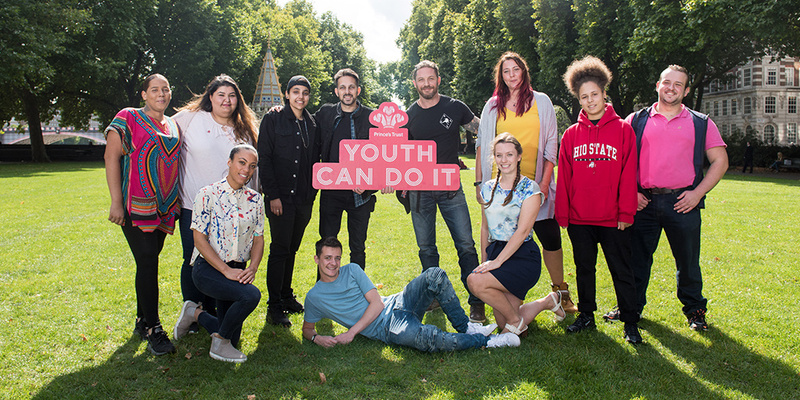 Prince’s Trust Ambassadors actor Tom Hardy and magician Dynamo appeared in a photo shoot alongside young people who have been supported by The Prince’s Trust. Dynamo was himself helped by The Prince’s Trust. When I was younger, I got help from The Prince’s Trust. My grandad inspired me to be a magician and I was desperate to make him proud. I turned to The Prince’s Trust and they offered me advice, inspiration and a small cash grant to help me build my career. I know there are so many other young people who are talented and wanting to do great things, often all they need is a helping hand. 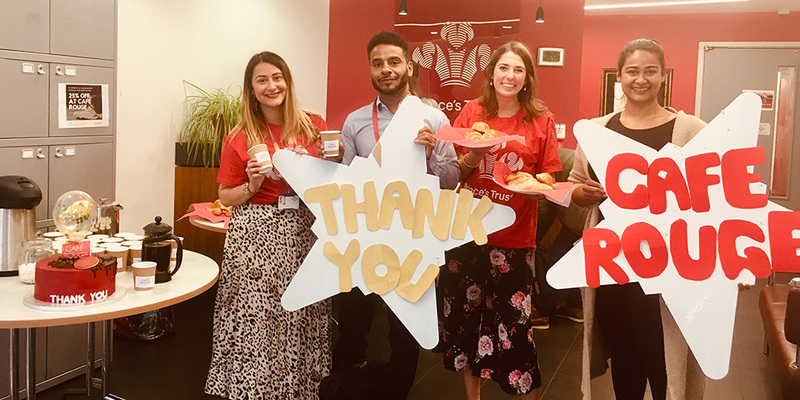 "With the message ‘Youth can do it!’ we are reaching out to them to say contact The Prince’s Trust, it changed my life, it can also change yours!" The campaign is further supported by a TV advert directed by Oscar-winning film director Andrea Arnold and created by advertising agency CHI&Partners and marks the first-ever brand partnership for Arnold, whose 20-year career spans films including Oscar-winner and Academy Award-winner Wasp (2004), and three Cannes Jury Prize winners, Red Road (2006), Fish Tank (2009) and American Honey (2016). The script is a poem, ‘Bulletproof’, written and performed in the film by 16-year-old Maya Sourie – a winner of last year’s national youth poetry competition SLAMbassadors – who spent large parts of her own childhood in foster care. Maya also features in the picture alongside Tom Hardy, Dynamo and The Trust supported young people. "I'm really proud to have been part of this project" said Maya Sourie. "It felt extremely important to spread the message that any circumstance you may have found yourself in should never be allowed to act as a limitation, but as a way to learn and discover the power you hold within – that happiness is a mindset and begins with loving yourself for who you really are." The soundtrack of the advert is a raw, uplifting, contemporary choral piece, performed by inner-city youth choir Inner Voices and composed specifically for the film by Simon Bass. 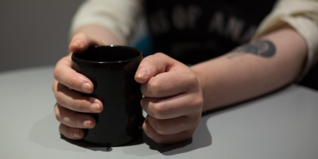 Paul Brown, Director at The Prince’s Trust, said: "The survey results we reveal today show just how much work still needs to be done to ensure every young person can achieve their full potential. That’s why our new campaign ‘Youth Can Do It’ aims to speak directly to young people with a message of hope and optimism. We hope this campaign will inspire young people to discover the confidence and determination they need to achieve their dreams. And we want to tell the world that everyone in The Prince’s Trust Community is here to help them find that confidence and turn their lives around.